Can Herbal Remedies Treat Allergies? When you have seasonal allergies, do you go to the drug store to pick up an over-the-counter allergy medicine? Allergy medicines, antihistamines, can reduce the symptoms of the allergy, but does not get rid of the allergy. It seems that we are doomed to a life of taking drugs for allergy symptoms or suffer with the runny eyes, sneezing, coughing, and breathing problems. Often, when you take an antihistamine for long periods of time, your body builds up a tolerance to the drug; thus the drug loses its effectiveness. As a result, you either have to increase your dosage, or change to a different brand of allergy medicine. Many people are turning toward homeopathic remedies to treat seasonal allergies, because they don’t like the side effects of traditional allergy medicines. Many allergy medicines make you sleepy. Some allergy medicines state on their labels they are non-drowsy formulas, but still may cause drowsiness. To relieve sinus headaches, runny nose, and other symptoms of seasonal allergies, many people are finding relief from herbs that seem to decrease the response to allergens. Many people who have seasonal allergies drink green tea to relieve the symptoms. Green tea has the reputation to be calming, and it is also a natural antihistamine. Raw honey is another natural remedy that has a reputation for being an antibacterial and anti-inflammatory agent. Many people believe that raw honey helps to reduce the symptoms of allergy. Honey has also been known to stop an asthma attack, when traditional medication and rescue inhalers have not been effective. Many people who believe in homeopathic remedies, believe that green tea and raw honey ingested together is a great treatment for seasonal allergy symptoms. Chamomile tea is another natural remedy that has the reputation of being a natural antihistamine. A word of caution about chamomile tea is that you should not drink it if you are allergic to ragweed, because your allergy symptoms may get more intense. For any other seasonal allergy, chamomile tea sweetened with honey has a very good reputation for relieving the symptoms of seasonal allergies. Ginger is a spice with reported to have medicinal properties. It is also an natural antihistamine. You need to use the root and grind it up. You then pour boiling water over it and make a tea out of it. You can sweeten this ginger tea with honey if you wish. It’s a very enjoyable tea and can make you feel better too. An herbal supplement called butterbur has been clinically tested and has been found to be an effective antihistamine, if taken up to 4 times a day. What people like most about herbal antihistamines is that they do not cause drowsiness, like traditional allergy medicines that you find on your drugstore shelves. A study done at the American Academy of Allergy, Asthma and Immunology showed that this herbal remedy is useful for people allergic to grass. Grape seed extract contains a flavonoid compound that is said to be effective in reducing the symptoms of seasonal allergy. Just like grape seed extract, many people also believe that drinking a small glass of red wine (also rich in flavonoids) every day for the treatment of allergy symptoms. 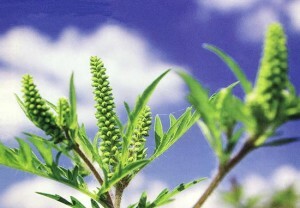 There are some other homeopathic remedies which are used to reduce the symptoms of seasonal allergies. 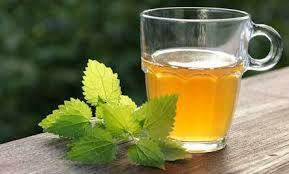 Peppermint oil is used by a lot of people who have sinus headaches caused by seasonal allergies. Some people place a drop or two of peppermint oil into a cotton ball and breathe in the essence to relieve a headache, and they also rub the oil over their throat area. Pine and spruce oil can be done the same way with the cotton ball to be inhaled, and it can be rubbed over the throat area to relieve the discomfort of allergy symptoms. If you suffer from seasonal allergies, you may be able to find other ways to treat your allergy symptoms that are just as effective as allergy drugs, without the side effects. What symptoms should indicate if someone has asthma?